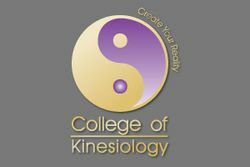 The Diploma of Kinesiology consists of 19 units of competency delivered over two years. The total cost is $17,960 and we have two payment options available to maximise your affordability. The program is Austudy approved and our Centrelink code is 4P835. 2 Years: includes 25 weekends of face-to-face training at our Paddington, Brisbane Campus, correspondence units, student practice evenings and Supervised Student Clinics.